Make an artistic statement with a design that naturally blends subtle color gradiations into the standard TV and computer monitor frames. A single image flashes up to 600 times a second creating unparalleled picture quality for plasma TVs. Get sharper scrolling text and crisp contours, no matter how fast images move, for seamless frames and intense realism. Cinema SmoothTM and Movie Mode technologies bring new meaning to "home theater" by creating smooth imagery and color temperatures that closely mimic real films seen at movie theaters. This eco-friendly feature helps you save money, while helping to save the environment by consuming less energy. ENERGY STAR® is a joint program of the U.S. Environmental Protection Agency and the U.S. Department of Energy that promotes energy efficiency. 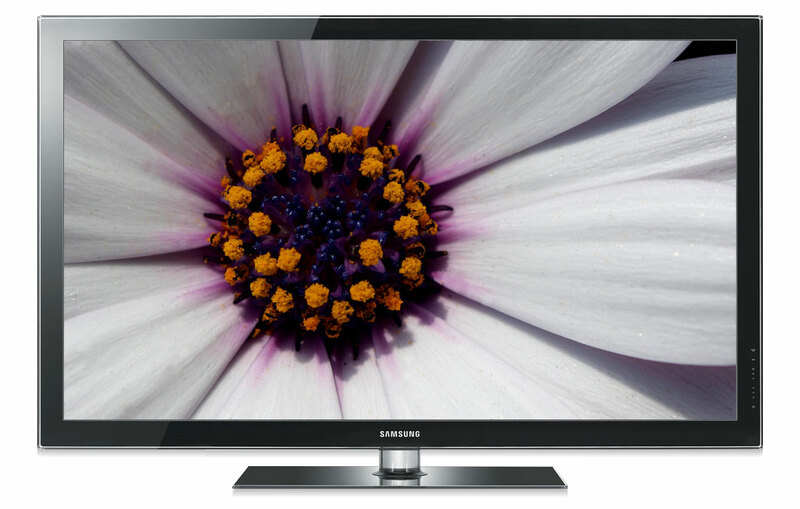 The Samsung Plasma PN63C590 HDTV features astounding picture quality and an ultra-slim, lightweight design. Samsung’s Clear Image Panel has a reflection reducing coating on the inside of the panel that virtually eliminates picture distortion, you’ll see the deepest darks, brightest whites and rich colors that pop every time you turn on the TV and with Real Black Filter technology, light reflections are reduced so nothing gets in the way of your view. The Samsung PN63C590 flashes a single image up to 600 times a second creating exceptional picture quality no matter how fast images are moving, while being up to 26% more energy efficient than ENERGY STAR Minimum standards.